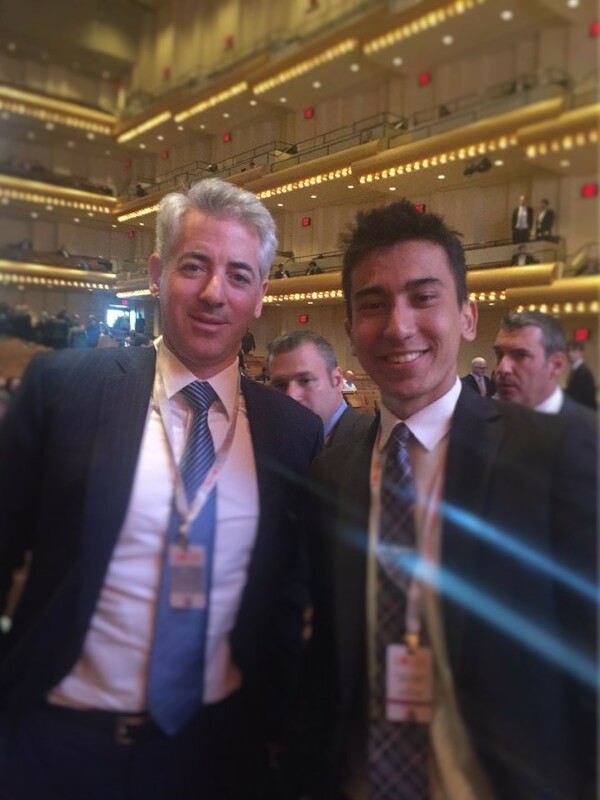 As you may know, I met legendary investor Bill Ackman (Short Herbalife) in the first half of this year. He was taller and bulkier than I expected. Ackman speaks in a soft voice (to strangers of course) and has a firm handshake. My tiny hands were nothing compared to the strong hands of Mr. Bill Ackman. In case you don’t know, Ackman is one of the world’s most famous hedge fund managers and activist investors. 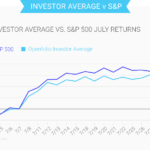 Pershing Square Capital Management net return was 40.4% in 2014, the highest among its peers. Since inception in 2004, Pershing Square posted net gains of 567.1% versus 135.3% return for the S&P 500. The hedge fund’s 1.5% base fee and 16% performance fee is low relative to industry standards. 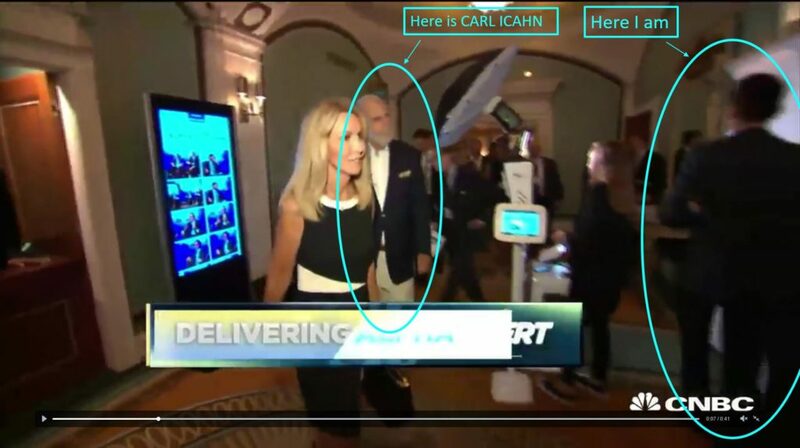 Last Tuesday (September 13th), another legendary investor Carl Icahn (Long Herbalife) was right next to me at the Delivering Alpha and I didn’t even see him. Yes, I know!!! Oh my god. In case you don’t know, Icahn is one of the world’s most famous hedge fund managers and activist investors. As the chairman of Icahn Enterprises LP, Icahn says “Some people get rich studying artificial intelligence. Me, I make money studying natural stupidity” according to his Twitter bio. I love that quote. How did this happen? During a coffee break before Stephen Schwarzman – Chairman, CEO, and Co-Founder of Blackstone (another legend) – was due to speak in front of investors, press, students (me unfortunately), etc…I lost my focus. How did I lose my focus? I wanted to be on the cover of Institutional Investor magazine. Well, not the real magazine. There was a photo booth at the conference. Why was the fake magazine cover so important? Besides being in love with finance, I wanted to get a picture of my handsomeness. Someone who works for NBC even told me I was handsome when I was leaving the event. My response was “I always look handsome” which is a fact. …So here I am, stepping on the booth while Icahn is just passin’ by! The legend is on the left. I’m on the right. Is Icahn looking at me? I was 5-10ft away from the man I admire and I didn’t even see him. I didn’t even notice the cameraman with a strong lighting. I noticed nothing. 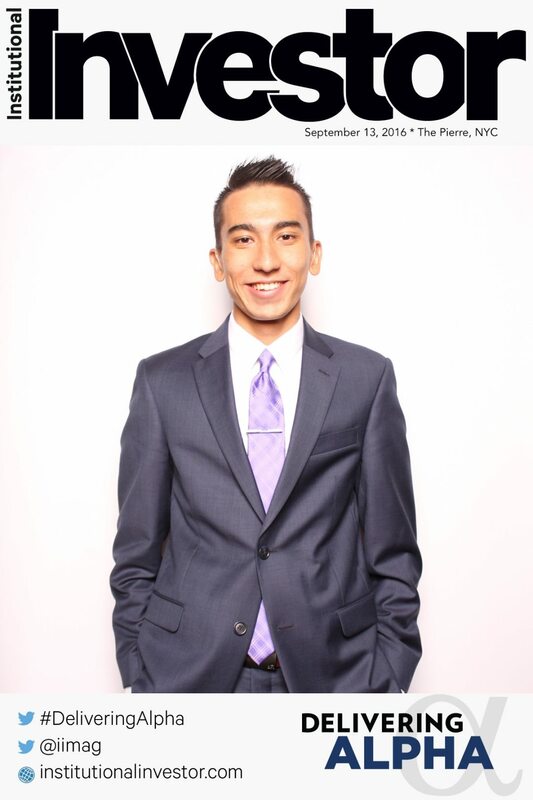 I was thinking about how I made it to the cover of Institutional Investors magazine and Forbes is next. Here is the video of me on CNBC for the first time and Carl Icahn on the same screen. I messed up…for this handsome picture of myself. Khojinur Usmonov on the cover of Institutional Investors magazine. Although I didn’t see Icahn there, I did see him on stage after the interview of Schwarzman with CNBC’s Becky Quick. Great summary of the interview can be found on the Institutional Investor’s website. BECKY QUICK: I think Blackstone has gone from something around $35 to around $26 over the course of the last year. Why is that? What is that a reflection of? STEPHEN SCHWARZMAN: That’s a reflection that investors are wrong. STEPHEN SCHWARZMAN: I don’t want to be selling an asset that’s gone down because the world has gone down. If it’s a wonderful company, if I want to sell it, I’d sell it after everything goes well. Everybody excited. Their phones are out. Chairs are being moved to get a better angle of the legend. And no, Bill Ackman did not show up again. Transcript of the CNBC interview with Icahn can be found on CNBC’s website. CARL ICAHN: I think Ackman’s a smart guy. CARL ICAHN: I really think he’s [BILL ACKMAN] a smart guy. CARL ICAHN: I sort of like him [BILL ACKMAN]. I think he’s smart. 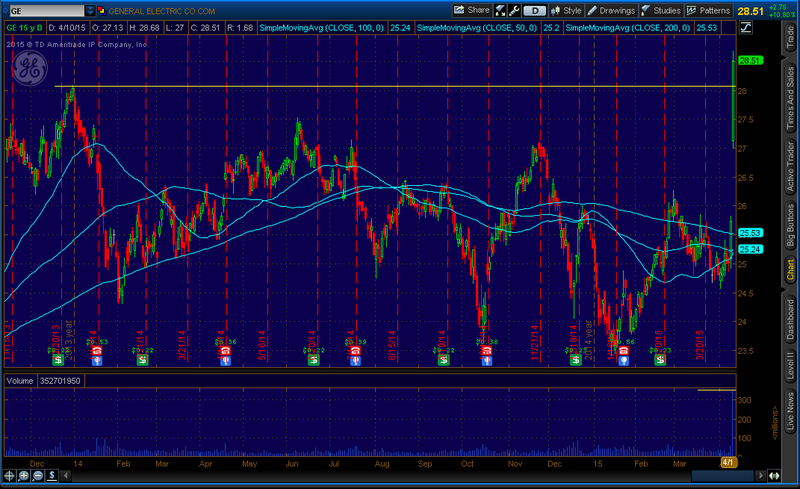 I also think/believe Ackman is smart and so is Icahn. I didn’t know Icahn was right next to me until I came home. At around 8:40 P.M, I come home. Until 10:24 P.M, I eat my dinner and some snacks, while checking emails and twitter, and reading news. At 10:24 P.M, I’m scrolling through @CNBCnow twitter and that’s when I saw the video. My reaction was too graphic to describe it here. Delivering Alpha 2016 is one of the moments I will forever remember. I really enjoyed the conference and meeting people from the media and hedge fund world. Although I came late to the conference, at around 1:40 P.M, and missed Ray Dalio, the experience was still amazing. Not just amazing, but also incredible, stunning, astonishing, etc. Delivering alpha as a concept is all about beating the market. Over the past six years, the investment conference has brought many great investors who got a track record of actually delivering alpha to speak in front of audience. 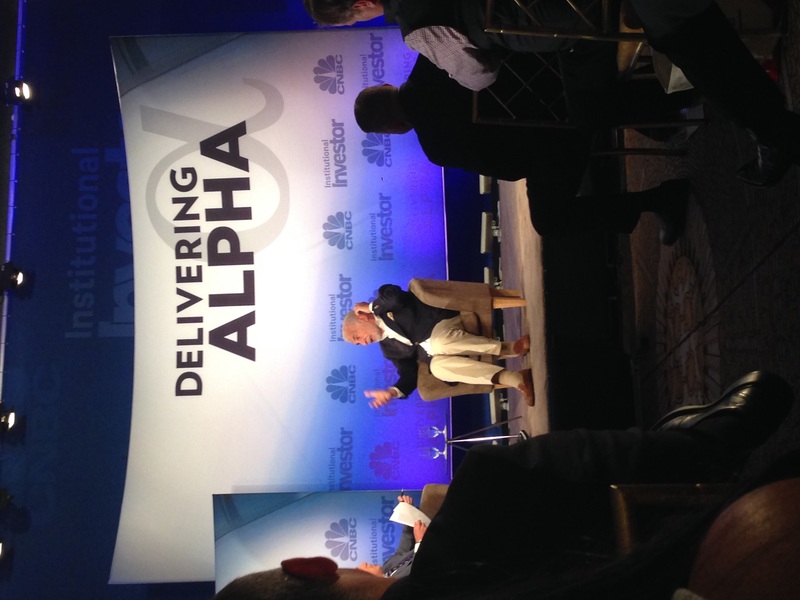 CNBC and Institutional Investor hosted the annual Delivering Alpha conference at NYC’s Piere Hotel. I will forever remember this day, September 13, 2016. So far I met Ben Bernanke, Marcus Lemonis, Chamath Palihapitiyaa (CEO of Social Capital), Bill Ackman, and Carl Icahn. Who’s the next high-profile person I will meet? Janet Yellen? Mario Draghi? Warren Buffett? Stay tuned. 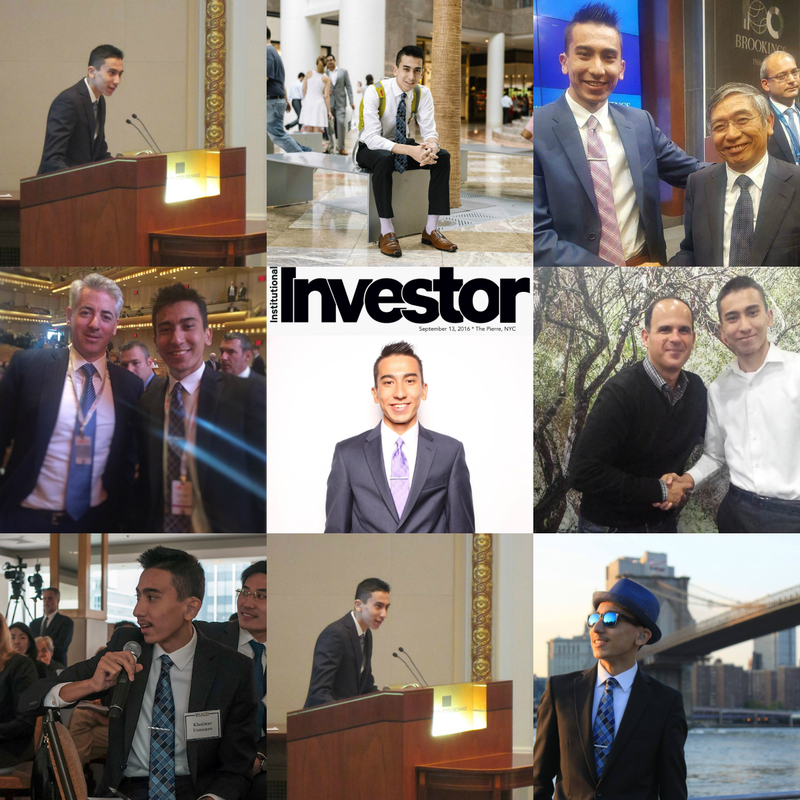 So far I made it to Bloomberg (for real) and Institutional Investors (literally), what’s next? Forbes? WSJ? Time Person of the Year? Stay tuned. It’s only matter of time before I’m on stage at the Delivering Alpha and media asks me questions. Stay tuned. Liquidity is the investor’s ability to buy and sell a security without significantly impacting its price. Lack of liquidity in a security can have its consequences. Post financial crisis regulations, such as Volcker Rule (Dodd-Frank), and Basel 3, has made it more expensive and more difficult for banks to store bonds in their inventories and facilitate trades for investors. 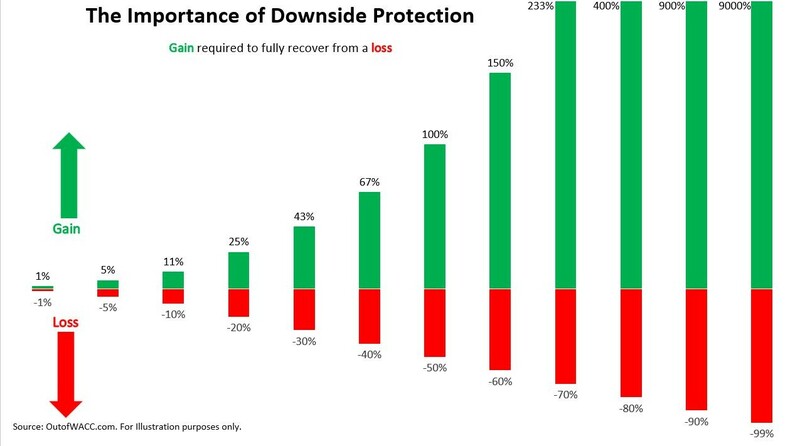 Regulations designed to make the system more safer have depressed the trading activity. 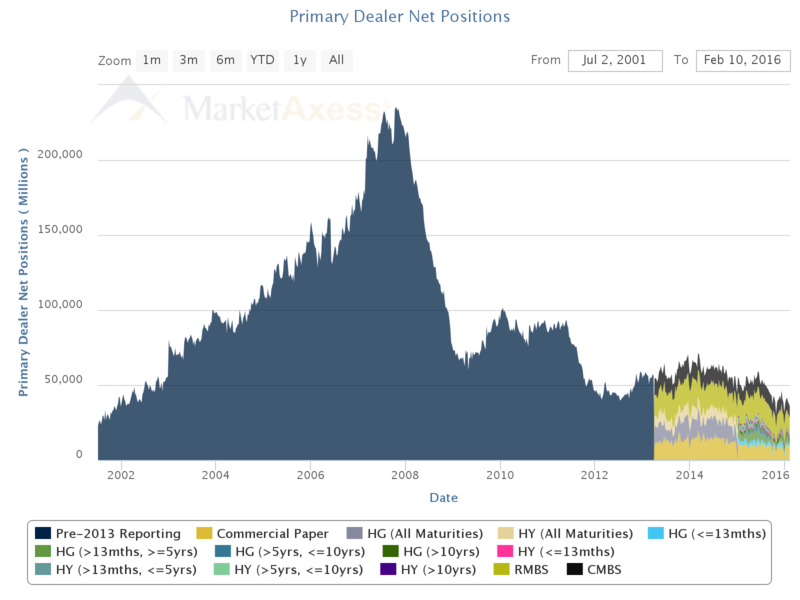 According to BIS, “US primary dealers…have continued to reduce their corporate bond inventories over the past years. Since the beginning of the year 2013, they have cut back their net positions in U.S. Treasuries by nearly 80%. Another big cause of decreasing in liquidity is technology. A technology that has changed the structure of markets, high-frequency trading (HFT), an algorithm computer trading in seconds and in fractions of seconds, account for much larger share of the trading transactions and it leads to low liquidity. Majority of HFTs, if not all, reduces liquidity by pairing selected (self-interest), leaving out others. According to BIS, 70% of U.S. Treasury trading is done electronically, up from 60% in 2012. For both high-yield bonds (not highly liquid asset), it accounts for more than 20%. About 90% of transactions on bond futures take place electronically. I have no doubt electronic trading will continue to increase. BIS in its quarterly review report (March 2015) stated (source: FINRA’s TRACE data), the average transaction size of large trades of U.S. investment grade corporate bonds (so-called “block trades”) declined from more than $25 million in 2006 to about $15 million in 2013. This is a sign of illiquidity since “trading large amounts of corporate bonds has become more difficult.” Trades facing constrained liquidity puts investors, especially large investors, to a disadvantage. 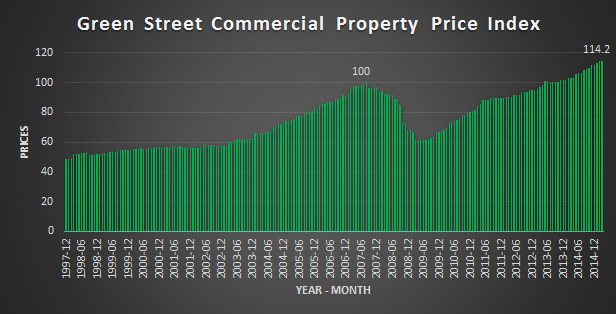 Capacity to buy/sell without too much influence on the market prices are deteriorating. Lack of liquidity can causes wild swings in the bond prices, which then can affect the rest of the financial markets. Today’s financial markets are so connected just like the economic domino effects. They are connected, but let me tell you why they are so important. The U.S Treasury securities market is the largest, the most liquid, and the most active debt market in the world. They are used to finance the government, and used by the Federal Reserve in implementing its monetary policy. I repeat, in implementing its monetary policy. Having a liquid market – in which having no problem buying and selling securities without affecting the market price – is very important to the market participants and policymakers alike. In a matter of 30 minutes, major U.S. stock indices fell 10%, only to recover most of the losses before the end of the trading day. Some blue-chip shares briefly traded at pennies. WHAT A SALE! According to a U.S. Securities and Exchange Commission (SEC) report, before 2:32 p.m., volatility was unusually high and liquidity was thinning, a mutual-fund group entered a large sell order (valued at approximately $4.1 billion) in “E-mini” futures on the S&P 500 Index. The large trade was made by an algorithm. The “algo” was programmed to take account of trading volume, with little regard, or no regard at all, to the price nor time. Since the volatility was already high during that time and volume was increasing, this sell trade was executed in just 20 minutes, instead of several hours that would be typical for such an order, 75,000 E-mini contracts (again, valued at approximately $4.1 billion). 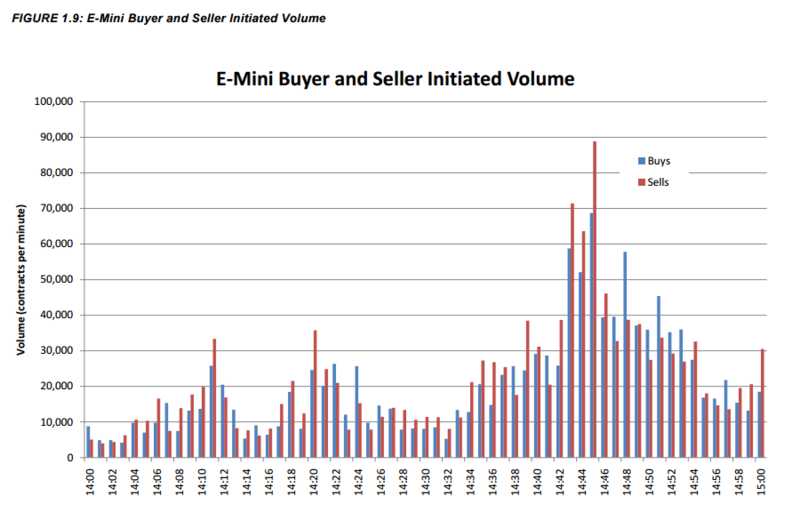 According to the report, this sell pressure was initially absorbed by HFTs, buying E-mini contracts. However, minutes after the execution of the sell order, HFTs “aggressively” reduced their long positions. 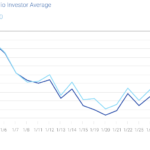 The increase in the volume again led the mutual-fund group “algo” to increase “the rate at which it was feeding the orders into the markets”, creating what’s known as a negative feedback loop. That’s the power of HFTs. This was nearly 6 years ago. Today, there’s no doubt the power of the secretive section of the financial markets, HFTs, are much stronger and powerful and can destroy the markets with “one finger”. With low liquidity in the bond market and increasing HFT transactions in it, the threat is real. Automated trades can trigger extreme price swings and the communication in these automated trades can quickly erode liquidity before you even know it, even though there is a very high volume. While liquidity in the U.S. bond market is high, it’s not high enough to battle the power of the technological progress. Let’s not forget. Fixed-income assets such as, corporate bonds, are often traded over the counter in illiquid markets, not in more liquid exchanges, as stocks are. It’s all about profits. Some, if not all HFTs, act the way they do, to make profit. There’s nothing wrong with that. But, the creators of the algorithms have to be ethical and responsible. It’s not likely to happen anytime soon since profits are the main goal (mine too) in the financial markets. So why should HFT “be fair” to others? I know I wouldn’t. In the summer of 2013, the former Federal Reserve chairman, Ben Bernanke, hinted an end to the Fed’s monthly purchases of long-term securities (taper off, or slow down its Quantitative Easing), which sent the financial markets, including the bond market into a tailspin. On June 19, 2013, Ben Bernanke during a press conference said, “the Committee currently anticipates that it would be appropriate to moderate the monthly pace of purchases later this year.” That sentence alone started the financial market roller coaster. Yields skyrocketed. 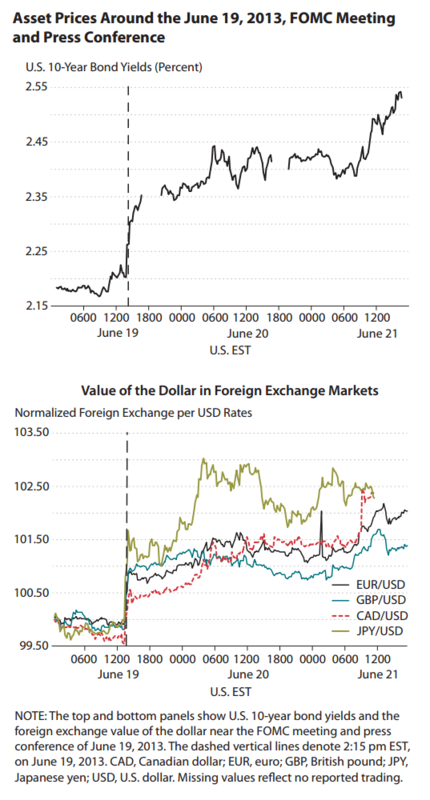 The gravity took down the value of greenback (U.S. Dollar). U.S. long-term interest rates shot up by 100 basis points (1%). Even short-term interest rate markets saw the rate-hike to come sooner than the Fed policymakers suggested. Borrowings costs increased so much, as the markets was expecting tightening of the monetary policy, it “locked up” the Fed from cutting the pace of bond buying that year. This raises (or raised) whatever the market prices can handle orders that are executed in milliseconds. It points to a lack of supply (dealer inventories), A.K.A illiquidity. I feel bad for funds that have a lot of corporate-bonds in their portfolio. The struggle is real. 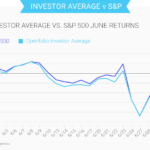 An open-ended funds that allow investors to exit overnight are more likely to experience a run, as market volatility increases. A run on funds will force the funds to sell illiquid assets, which can push down the prices lower and lower. Recently example of that is the Third Avenue (“investors’ money are being held hostage”). Brace for a fire sale. Coming soon in your area. Market makers, where are you? Come back. I need to sell the investments at a current price, before it goes much lower. On October 15, 2014, the markets went into a tailspin again. The Dow plummeted 460 points, only to recover most of the losses. The Nasdaq briefly fell into a correction territory, only to rebound sharply. The 10-year Treasury yield “experienced a 37-basis-point trading range, only to close 6 basis points below its opening level”, according the U.S. Treasury Department report. 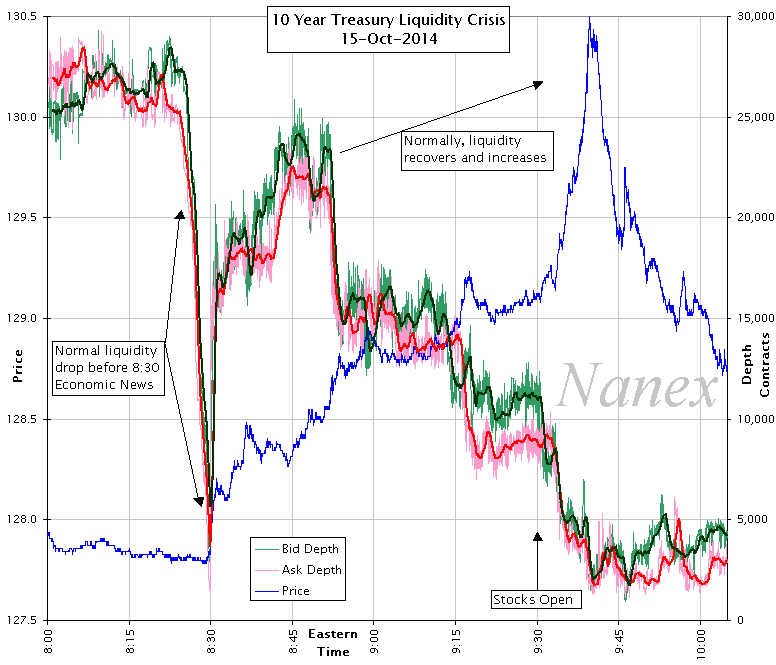 According to Nanex, a firm that offers real-time streaming data on the markets, between 9:33 A.M and 9:45 A.M, “liquidity evaporated in Treasury futures and prices skyrocketed (causing yields to plummet). Five minutes later, prices returned to 9:33 levels.” “Treasury futures were so active, they pushed overall trade counts on the CME to a new record high.”, said the report. 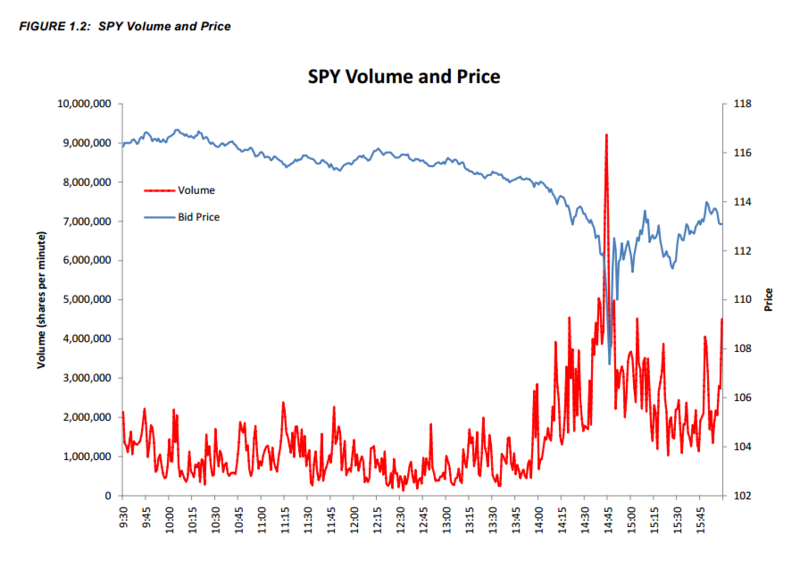 Liquidity in the 10 year as measured by total sizes of orders in 10 levels of depth of book. Again, as I said, “Today’s financial markets are so connected just like the economic domino effects.” The mayhem in in the bond market can spread to the foreign exchange (forex) market. These types of occurrences are becoming common, or the “new normal”. As the Fed raises rates, the market participants will be adjusting their portfolio and/or will adjust them ahead of it (expectations), these adjustments will force another market volatility. But this time, I believe it will be much worse, as liquidity continues to dry up and technology progresses. 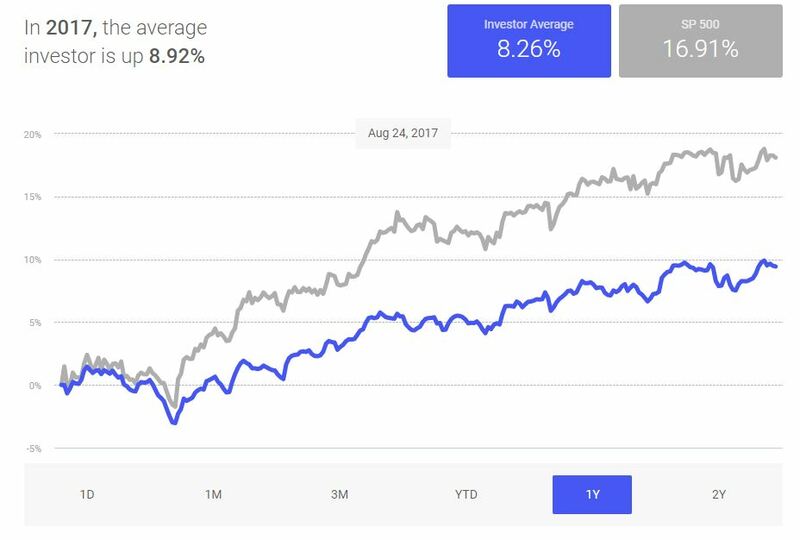 Recent market crashes and volatility, including the August 2015 ETF blackout, is just another example of increasing illiquidity in the markets. Hiccups in the markets will get bigger and will become common. Illiquidity is the New Normal. Hello HFTs, how are you doing? Making $$$? Cool. With interest rates around 0 (well, before the rate-hike in December), U.S. companies have rushed to issue debt. With the recent rate-hike by the Fed, U.S. corporate bond market will experience more volatility. Lower and diminishing liquidity will “manufacture” a volatility to a record levels that the financial markets and the economy won’t be able to cope with it. As said, “Today’s financial markets are so connected just like the economic domino effects.”, the corporate bond market volatility will spread to the rest of the financial markets. Oh wait, that already is happening. Reversal of monetary policy by the Fed this year, as I believe the Fed will lower back rates this year, will make things worse. Last Friday (April 3, 2015), March non-farm payrolls came out very negative. Non-farm payrolls slowed in March to a seasonally adjusted 126,000, slowest since December 2013. Unemployment rate held unchanged at 5.5%. The downturn in the jobs report could delay the Federal Reserve’s plan on raising the interest rates. Federal Open Market Committee (FOMC) have said in the past that continued improvement in labor would be a key factor on the timing of the rate-hike. I, now, believe there is a little chance of rate-hike in June. 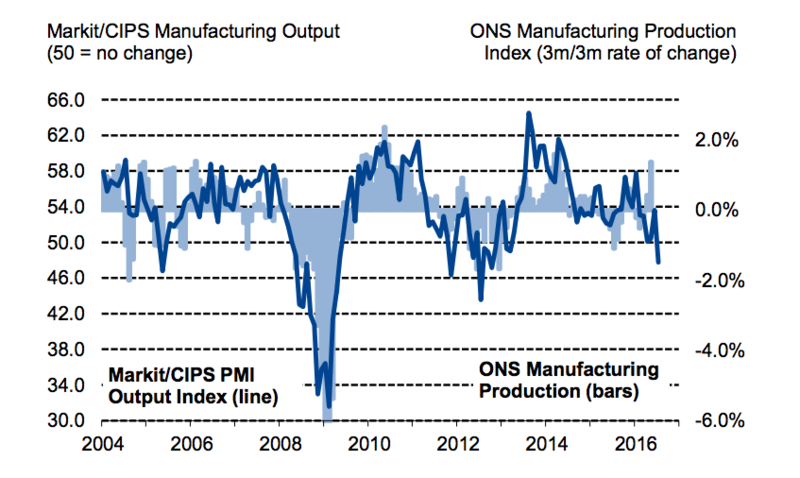 What caused the downturn in the labor market? I believe it was because of the bad weather, plunging oil prices, and the strong dollar. The bad weather have caused businesses, especially in construction, to lose profits and to halt hiring. However, weather is a transitory factor. Plunging oil prices have left the oil industry in the dust. Oil companies are not being able to make revenue/profit. As a result, they had to layoff some of their employees. 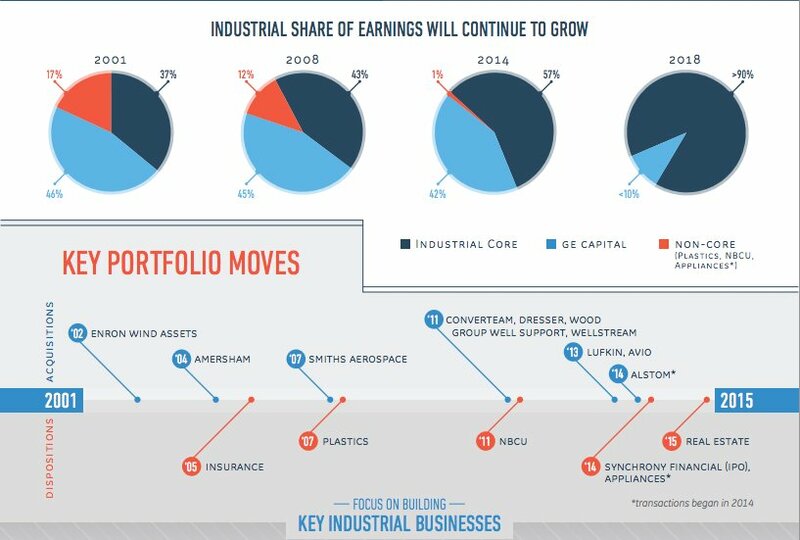 Strong Dollar is putting pressure on export-driven manufacturers, resulting in lower sales leading to layoffs. It’s also making it harder for U.S. businesses to sell goods aboard. 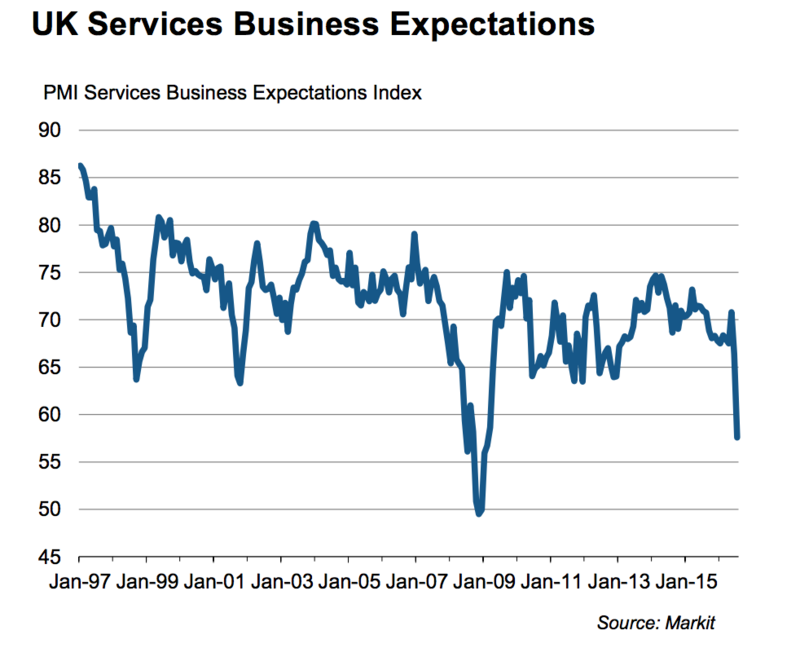 I believe majority of U.S businesses’ revenue or earning per share (EPS) will less than expected, for the quarter. Not only did we get to see March jobs report, but there were revisions to February and January jobs reports. January job creation was revised lower to 201,000 from 239,000 (-38,000). February job creation was revised lower to 264,000 from 295,000 (-31,000). I believe March jobs report will also be revised. The labor-force participation rate was at 67.8%, lowest since February 1978. 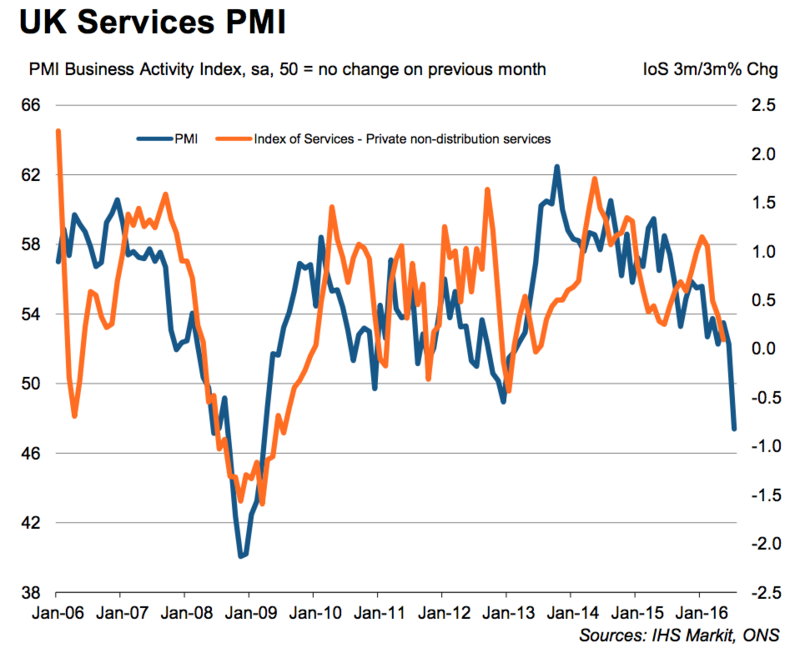 It shows that there’s less confidence in jobs market. Therefore, people have stopped looking for jobs. Average hourly earnings rose 7 cents or 0.3% to $24.86. The earnings can be a indicator for inflation. If it increases, inflation is more likely to increase too. Walmart and McDonald are increasing wages for majority of its employees, if not all of them. U.S Dollar (foreign exchange, or Forex) reacted negatively. U.S Equity markets were closed for Good Friday. We will get to see the reaction of equity market in the morning (Monday, April 7, 2015). I believe it will rise since negative jobs report could delay the rate-hike, since low interest-rate environment can very attractive to investors, including me. If you have any questions, feel free to contact me anytime and/or leave comments. Thank you. Last Wednesday (March 18, 2015), the Federal Reserve released its statement on the monetary policy and its economic projections. The The Fed dropped from its guidance “patient” in reference to its approach to raising the federal funds rate. It was largely to be expected to be removed, which would have send U.S Dollar higher and U.S market lower. However, the opposite happened because of two twists; they lowered their economic projections, and Chair of the Board of Governors of the Federal Reserve System, Janet Yellen’s words during the press conference. According to the “dot plot”, the Fed lowered median “dot” for 2015 to 0.625% from 1.125% (December). What is “dot plot”? The Dot Plot is part of the Federal Open Market Committee (FOMC)’s economics projections and it shows what each member thinks the federal funds rate should be in the future. It is released quarterly. Sometimes, it might be released more than that, depending on economic circumstances. It gives you a perspective of what each member of FOMC thinks about economic and monetary conditions in the future. Again, the Fed lowered median “dot” for the end of 2015 to 0.625% from 1.125% in December (-0.50%). The Fed also lowered the “dot” for end of 2016 and 2017. For the end of 2016, it is at 1.875% from 2.5% in December (-0.625%). For the end of 2017, it is at 3.125% from 3.625% in December (-0.50%). Besides, the “dot”, Yellen said one thing that took a toll on the U.S Dollar. Even though the Fed removed “patient” from the statement, Yellen had “patient” tone during the press conference. Yellen said ““Just because we removed the word “patient” from the statement does not mean we are going to be impatient,”. This sentence alone halted US Dollar from rebounding after it dropped on the statement. There are other things that complicates the timing of the rate-hike. It’s now more complicated to predict the Fed’s next move because of three reasons; very strong US Dollar, low inflation, and economic crisis in Europe and Japan, if not United Kingdom too. US Dollar is too strong, hurting U.S exports. 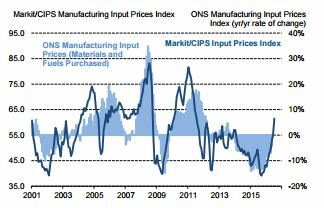 Inflation has declined due to falling energy prices. The struggling foreign countries economically can also hurt U.S economy. 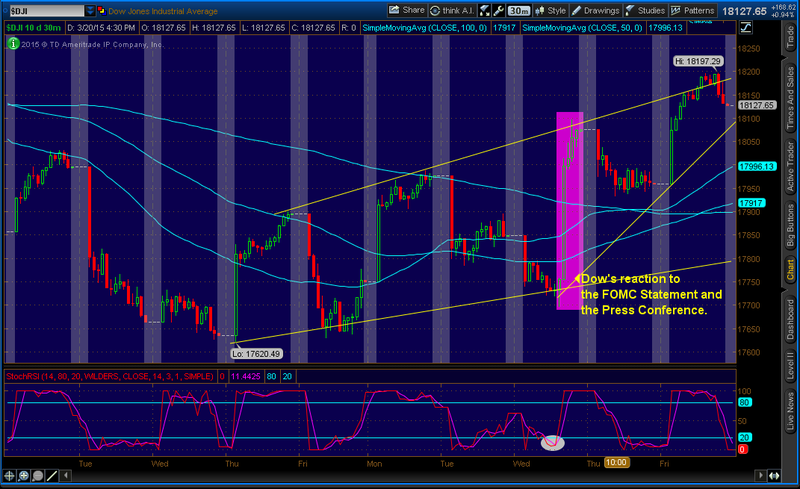 I believe two majors factor of the Fed’s next move are the strong US Dollar, and the low inflation. When both of them are combined together, it makes imports cheaper and keeps inflation lower. I believe Europe will start to get better–as Quantitative Easing (QE) fully kicks in–money starts flowing in Europe. European stocks will probably hit new highs in the coming years because of QE program. Once, the Fed raises the rates, the money will probably flow into Europe from the U.S because of negative interest rates. Low rates have been a key driver of the bull markets in the U.S stock market the past six years. 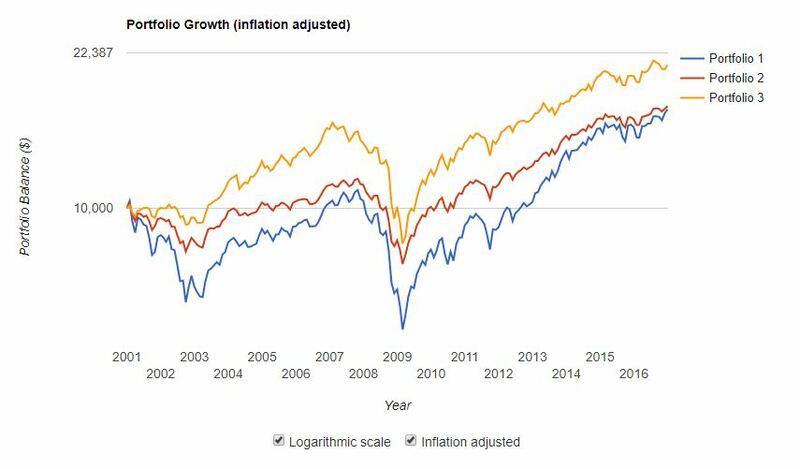 Lower rates makes stocks more attractive to the investors. Since, the “dot” has dropped harshly, I believe this could be a sign of late delivery of rate hike. They might hike the interest rate in September, not June. However, if non-farm payrolls number continue to be strong, average wage (indicator for inflation) lifts and oil prices rebound, then the door for rate-hike for June might still be open. For now, there is no sign of oil rebounding since it has dropped sharply this week. We will get the next non-farm payroll, which also includes average wage, on April 3. The Fed want to be cautions before raising the interest rates. 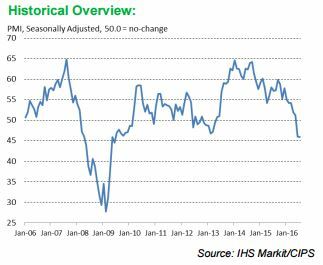 They want more time to be sure; “further improvement in the labor market” and “reasonably confident that inflation will move back to its 2 percent…” Although, non-farm payrolls have been strong lately, inflation is too low. The inflation is low because of the stronger dollar and the plunge in oil prices. The Fed is in no hurry to increase the interest rate. The Fed said it would definitely not act on rates at “…April FOMC meeting.” and might wait until later in the year. I believe September has higher chance than June, from the rate-hike. It looks to me that the Fed planned to send US Dollar lower. 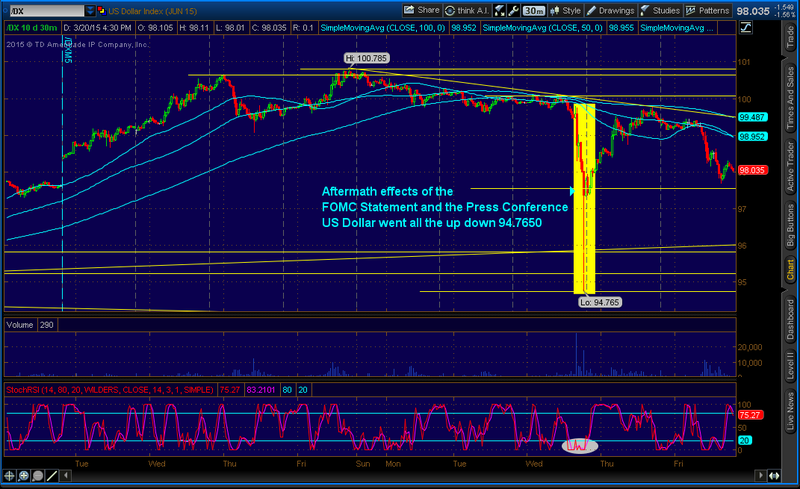 They probably wanted the US Dollar to be weaker before raising the rates, which could send the US Dollar a lot higher. Their plan worked. 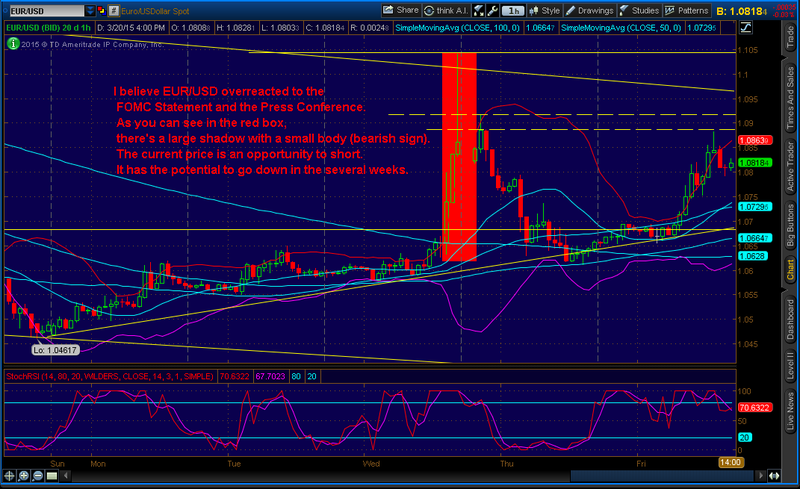 The US Dollar dropped so much that it sent EUR/USD (Euro against US Dollar) up 400 pips (above 1.10). U.S market rose after they were down ever since the release of non-farm payrolls for February. Dow gained over 200 points, as well as other indices. Feel to contact me and/or to leave comments. Don’t forget to follow my twitter account @Khojinur30. At any moment, I might post my view on certain things. Thank you.